When a contract between businesses must be terminated, use their letter to spell out the decision. 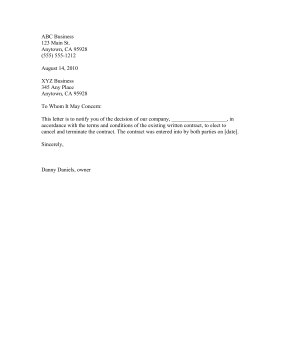 This letter is to notify you of the decision of our company, ____________________, in accordance with the terms and conditions of the existing written contract, to elect to cancel and terminate the contract. The contract was entered into by both parties on [date].